In news that’s both totally fine and highly unsuspicious, Russia’s Ministry of Defence spent £18,000 on bottlenose dolphins last week. 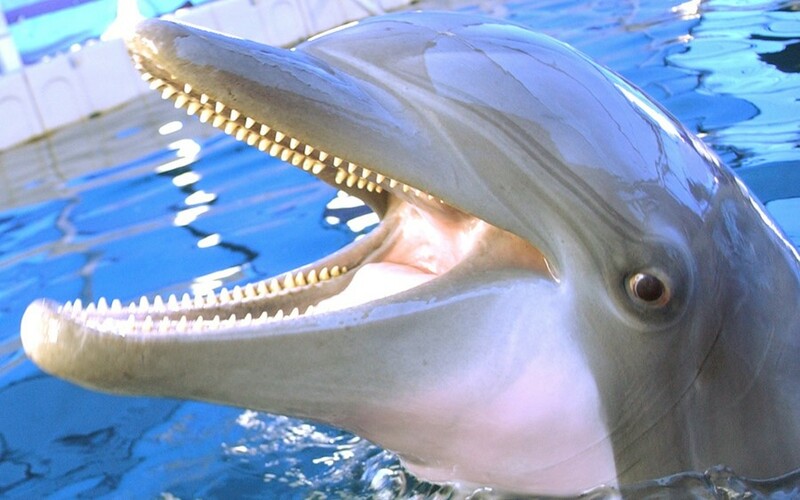 The five marine mammals – which were ordered from Moscow’s Utrish Dolphinarium – will reportedly have “perfect teeth”, be of normal length, and have a “willingness to ‘display motor activity’.” They will also, according to official state tender, be completely free from “mucus in the blowhole”. The three males and two females apparently cost the Russian military around £3,500 ($5,000) each – though details on what they’re going to be used for have been conveniently left out of the document. The country’s government has also declined to divulge any more information on the topic when requested to do so. Weirdly, this is not the first time that military dolphins have been used by governments. During the cold war, the mammals were actually a favourite with both the US and the Soviets for their nifty ability to patrol the waters, flag up mines, and even attack military scuba divers: though the idea eventually lost funding and began to fade out. Even the US government, which still has a dolphin unit in San Diego, has announced its plans to discontinue the programme by next year. That said, this latest bombshell could maybe persuade them to change their minds. Is a full-on dolphin war on the horizon? Only time will tell.